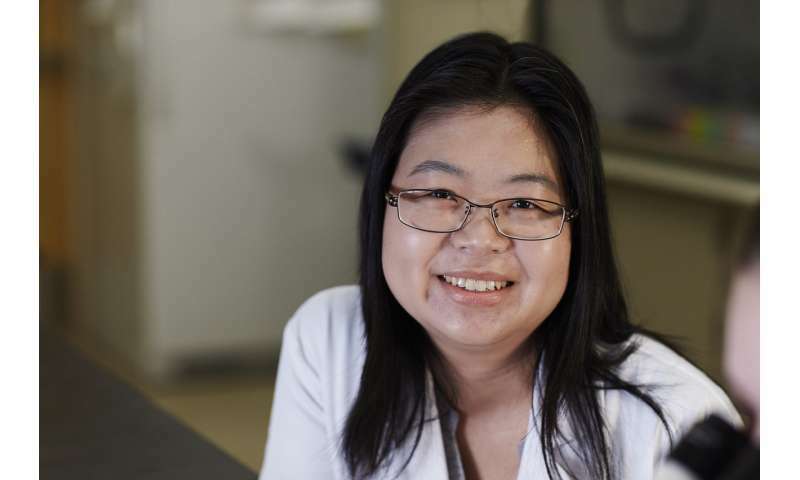 The study by UNLV scientist Prof. Kelly Tseng, Ph.D., "A Model for Investigating Developmental Eye Repair in Xenopus laevis," was recently published in the journal Experimental Eye Research. Xenopus laevis, or the South African clawed frog, are studied due to their highly regenerative traits that allow them to regrow tails, limbs, and even their brain. There was disagreement in the science community, however, that these frogs could regenerate their eyes as embryos. "In this study, we found that removing the majority of eye tissues in an embryo resulted in rapid regrowth to a normal sized eye within 3 to 5 days," Tseng said. "Some studies suggested these embryos didn't have this ability, but we've shown conclusively that these frog embryos can regenerate their eyes." Tseng and her students were able to confirm successful regeneration via two methods. First, the researchers saw that injured eyes were able to generate many new cells within 3 days, a key to cell regrowth in these frogs. The second clue was that Xenopus tadpoles show a strong preference to swimming in a white background as opposed to a black background. And after eye regrowth, Tseng's tadpoles showed the same functional preference. The team also found that apoptosis (programmed cell death), a process used in regeneration of other organs and tissues, is needed for successful eye regrowth. "These results suggest the embryonic Xenopus eye is a powerful model for studying developmental eye repair," according to the study. Now scientists can study the regeneration abilities of frogs and figure out what developmental mechanisms are used to repair a damaged eye. Tseng said that because frog eye development is similar to human eye growth, it could eventually lead to a blueprint on how to induce such regrowth in humans. By figuring out how frogs regenerate tissue, Tseng hopes she and other scientists can learn how to get stem cells to better repair or regrow tissue in humans. Of course, more research is needed, she said. For her work, Tseng employs graduate and undergraduate student researchers and dozens of the jumpy clawed frogs. Transfer that Feature to Embryos of Other Frog Species !